Behold! Some fantastic alternate costumes for the classic heroes Mario and Samus. 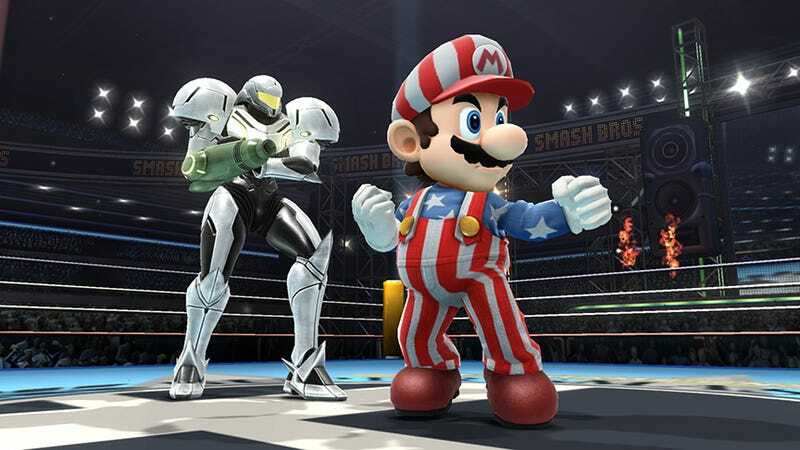 Mario's patriotic get-up is actually his outfit from the cover of NES Open, whereas Ms. Aran's new duds come from the Metroid Prime 2 multiplayer. Looking spiffy! Let's hope we get fusion suit Samus and tuxedo sporting Mario.